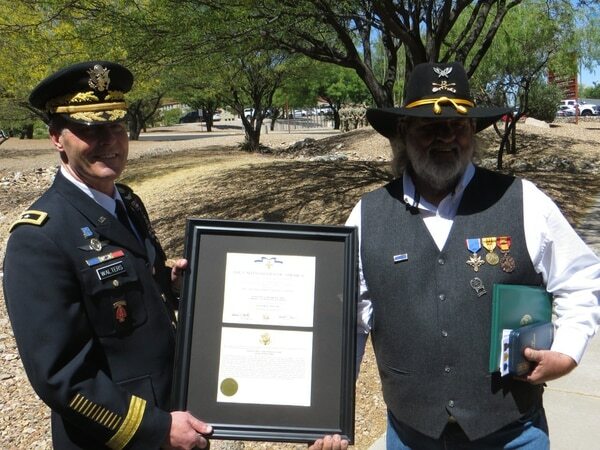 Frank Crary, a Tucson, Arizona, resident, was awarded the United States’ second highest award for gallantry in recognition of his actions that saved the lives of his platoon mates during a reconnaissance mission. 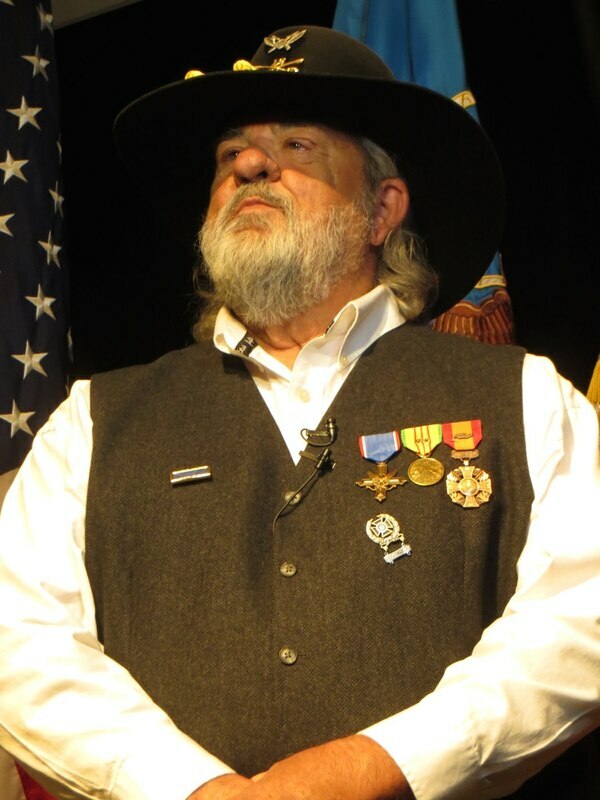 Maj. Gen. Robert Walters Jr., commander of U.S. Army Intelligence Center of Excellence at Fort Huachuca, Arizona, presented Crary with the Distinguished Service Cross at a ceremony on base Tuesday. 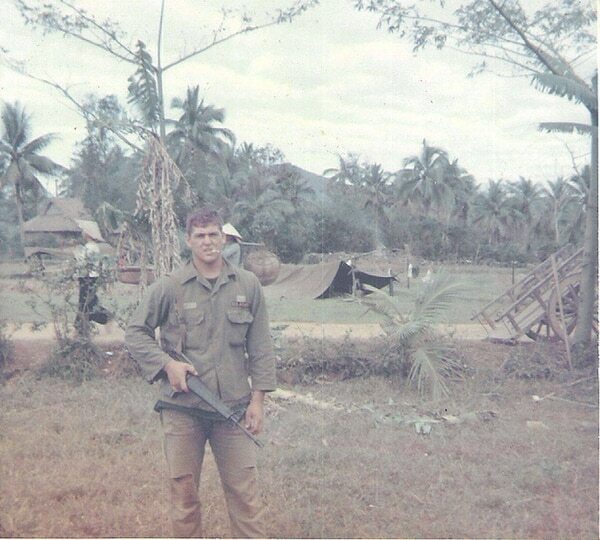 Crary was a private first class on April 7, 1966, when his reconnaissance platoon from Company D, 1st Battalion, 12th Cavalry Regiment, was chasing North Vietnamese regulars through the jungles of Vietnam. They were suddenly ambushed by a numerically superior enemy force in camouflaged, fortified positions. The soldiers were pinned down and taking heavy casualties from a crew-served machine gun somewhere in the dense jungle. 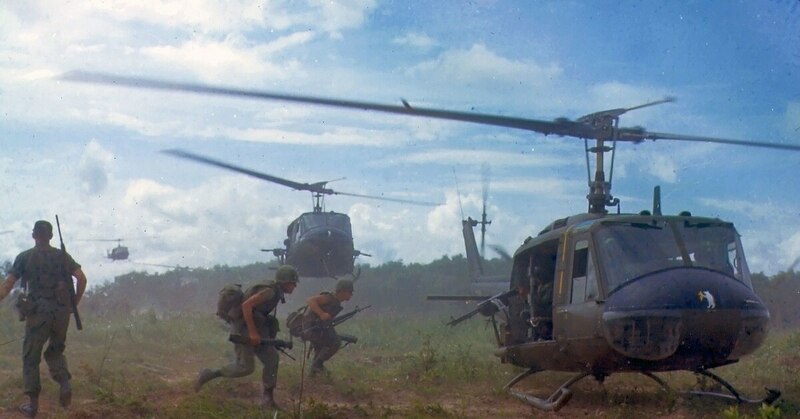 Crary managed to spot the machine gunner’s nest, and began returning fire. Crary's actions that day were credited with turning the tide of the battle. His remaining platoon-mates were afforded the time and space to return fire and neutralize other enemy positions. Reflecting on the 1966 event, Crary scoffed at the idea of being called a hero. “I just looked at it as I was doing my job,” he said. Several friends who had served in the reconnaissance platoon with Crary were flown in to attend the award ceremony. Walters described the difficult situation Crary and his fellow soldiers faced before and after the fateful ambush. The American public was also not supportive of the war, which was often described as lacking a clear objective. Returning soldiers often faced the brunt of the disdain about the war from their fellow citizens, Walters explained. Also during the ceremony, Lt. Col. Andrew Kiser, the current commander of Crary’s old unit, 1st Battalion, 12th Cavalry Regiment, presented Crary with the Vietnam Service Medal and the Vietnam Cross of Gallantry. 1st Battalion Command Sgt. Maj. Shelly Jenkins presented Crary with the Expert Rifle Marksmanship Badge and the Presidential Unit Citation, which were determined to be owed to Crary. The Distinguished Service Cross is the second highest military award that can be given to a member of the U.S. Army for extreme gallantry and risk of life in combat against an armed enemy force. The award is equivalent to the Navy Cross, the Air Force Cross and the Coast Guard Cross.